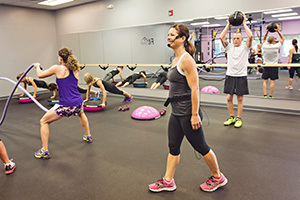 Whether you want to take your fitness to the next level, improve your performance, lose weight, achieve ambitious goals, rehab from an injury or learn proper technique, personal training is the step that can get you there! My intention is that your time spent here is not just another workout but a tool that will help you create the body mind and life that you desire! Work one on one to establish a routine that is right for you and that will get you the results that you are looking for. Personal training packages include fitness planning, nutritional consultation and monthly measurements and assessments. 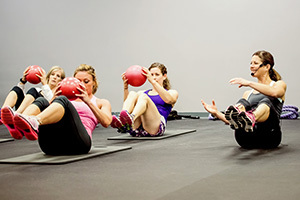 Small group training will provide you the same benefits of personal training but in a small group setting. You will get a personalized training plan and work towards your goals while getting the motivation and energy from working in a group setting. This is a great option for those looking for a more personalized program with more guidance on technique and form at an affordable price. Small group training packages include fitness planning, nutritional consultation and monthly measurements and assessments. FitHouse participates in and forms teams for several athletic events throughout the year. 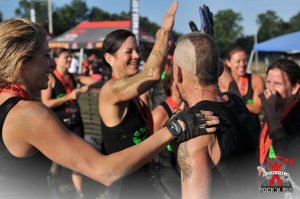 Some of these include obstacle races, bike races, and charity events to name a few. Stay posted for upcoming events and training programs. If you are training for an event and need assistance getting ready I can provide you with a training program that will help you to perform at your very best.